North Bakersfield Toyota Service Center has the technology and staff to make your Toyota vehicle run like new. Our car repair technicians have the skills to correctly diagnose and repair your vehicle the first time. These auto mechanics are the Bakersfield Toyota car repair diagnosis experts, whether you need scheduled maintenance, a brake job, oil change or California inspection. Stop by during our convenient hours at our Bakersfield Toyota dealership’s state-of-the-art service facility. You can also fill out our online service appointment form or call us at (661) 218-1679 to schedule your car repair. 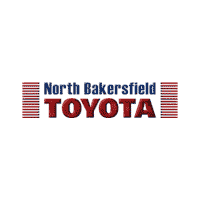 Our Bakersfield Toyota car repair center proudly serves customers also in the Shafter, Delano, Visalia and Hanford areas. We are located at 19651 Industry Parkway Drive in Bakersfield, CA. Call us now at (661) 218-1679 to schedule your appointment or use the appointment to the right. While you are here check our Toyota Parts center.